How Should You Measure an Employee's Leadership Potential? How Should You Measure an Employee’s Leadership Potential? If you’re lucky, one of your everyday employees will demonstrate an ability to manage people, delegate tasks, and take responsibility for ongoing projects. As someone in management, one of your duties is to pick out which employees have the most leadership potential when future positions become available. 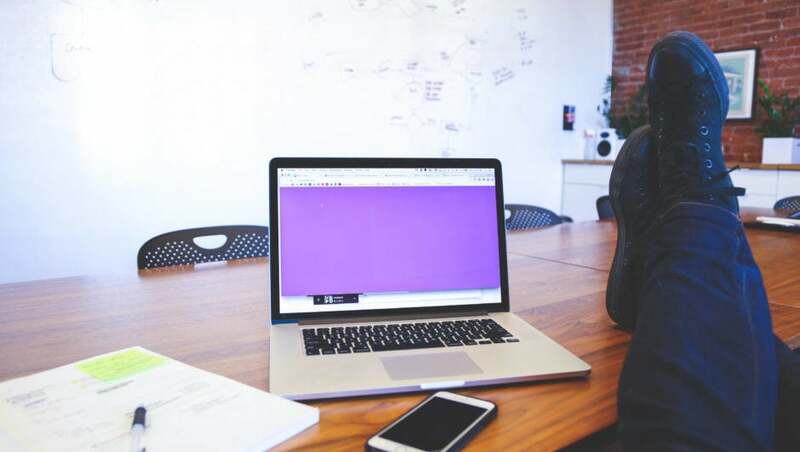 There have been many methods to choosing which employees have what it takes to be company leaders, from elaborate surveys to simple observations. But these methods always leave some people out, leading to a wasted opportunity for skilled employees. After all, it’s more a matter of how you tap into someone’s potential, rather than if they have it all. So how should you measure an employee’s leadership potential? TINYpulse, a software provider that helps businesses improve employee performance and engagement, teamed up with Microsoft Workplace Analytics in a new research study to try to answer that question. What’s currently being done to measure an employee’s leadership potential? In smaller companies, managers will often determine an employee’s leadership potential by observing what characteristics they have. Are they driven? How quickly do they learn? Are they empathetic towards others? In short, it’s common for current leaders to hand pick whoever they like for special treatment or training. A more formal way of doing this is the Korn Ferry Assessment of Leadership Potential. The test is more or less designed to quantify the characteristics listed above, along with others. Another common way of measuring an employee’s leadership potential is by monitoring their output. How have sales or leads or costs or revenue or customer satisfaction been affected by that employee? Are those results worth investing more to develop further? Employers and human resource professionals will often use some form of a “9-box grid” to help determine this. 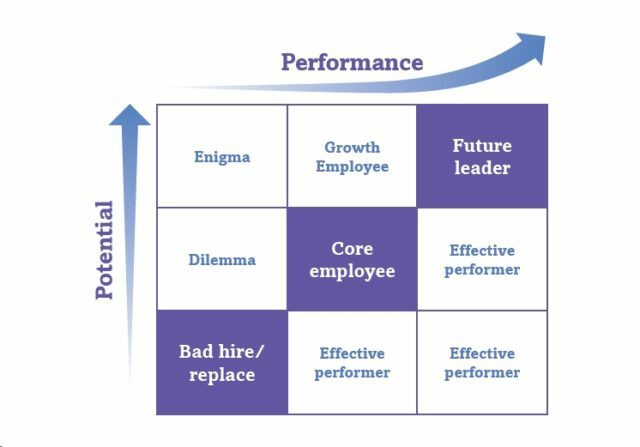 Effectively, they diagrams an employee’s performance against their potential, where the Y axis is 3 levels of potential and the X axis is 3 levels of performance. A telling sign in both of these methods is that they take an approach of building up the best. Every company has limited resources, so it makes sense on the surface to focus on who’s already doing well. But a company is only as good as its weakest link, and it costs far more to hire and train new employees than it does to promote people already that already have a desk. It’s been considered that the amount of direct interaction an employee has with others in their organization correlates with who’s picked for leadership potential. After all, if more people work with you, more people can witness your skills. But there were two particularly enlightening findings from TINYpulse and Microsoft Workplace Analytics’ research. First, they found that those who are picked for leadership roles spend the same amount of time on the same tasks as those who aren’t. The only difference is that the “leaders” spent an average of 4 hours more a week on internal (employee) collaboration, compared to external (customers and 3rd party) collaboration. One interpretation is that this extra time on internal collaboration gives employees the chance to stand out from their peers. Quite simply, they have more opportunities for overt praise. In line with this interpretation, the team also found that employees picked for leadership roles had an average network of 27 employees that they regularly interacted with, while those who weren’t picked had an average network of 20. Second, they found that these “high-potential” employees spend 34% more time with product and engineering groups than the rest of employees. Particularly in the tech and SaaS spheres, collaboration between product and everyone else is critical to a company’s success. Perhaps another contributing factor for who’s chosen for leadership potential, then, is how inherently valuable that employee’s role is. This research suggests that an employee’s leadership potential is often measured by how many other employees they interact with. Everyone has potential, and working closely with more people offers more opportunity for others to identify that potential. It could be that creating a more collaborative work environment would benefit everyone. If everyone is recognized for their potential, then it’s possible that no one will stand out above the rest. But wouldn’t that growth and recognition of each employee’s leadership potential be better for everyone?